Circle Time is a 20-minute rhyme and movement intensive program for children of all ages and a caregiver. The program provides wiggles and giggles for all! 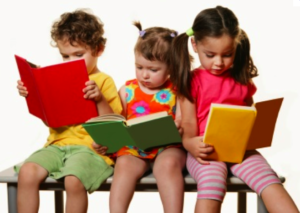 provide language and vocabulary development, and provide an alternative to the traditional storytime.